Church of the Iveron Icon of the Mother of God, Moscow, Russia. In most English-language reporting about Russia, the spectre of the Soviet Union has been maintained for many years, and that spirit has been most heavily emphasized in the recent "new Cold War" that effectively started in 2014 with the row over the fate of Ukraine (in reality it started earlier, probably 2013, with this speech, given by President Vladimir Putin, and the West's reaction to it). 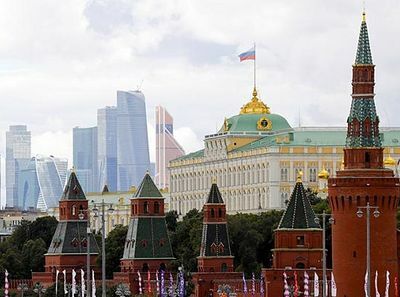 One major acronym thrown around is of course the KGB, of which President Putin was an agent, and its modern incarnation as the FSB (Federal Security Bureau). These were the feared agents that would come and take people away in the middle of the night and send them to the Gulag, or to prison, or exile, or death. In particular, the Russian Orthodox Church was known to have KGB agents operating as priests, who would report people's confessions to their superiors. When communism collapsed, that all changed. In fact, it had been changing for years even before the fall of the Soviet Union in 1991. However, the KGB took a name change and remained the nation's chief security agency, serving the same purpose for Russian interests that the CIA and FBI do in the United States. The FSB is simply an intelligence gathering agency. It also has a lot of Christians in it. And standing next to the FSB academy in Moscow is this magnificent church, dedicated to the Iveron icon of the Mother of God (The Virgin Mary). This church was completed in 2016. Construction on it started in 2012. Now the Church is complete, and it is truly magnificent. It contains both an upper and lower church. On Saturday, September 1, a Divine Liturgy was served in the Lower Church, in the English language, with one American supplementing the otherwise all-Russian choir. The Liturgy happened at the same time one was taking place in the upper church. It was well-attended. Outside the families and friends of FSB members and incoming students gathered after the service for the celebration of the new academic year to come. The Lower Church is beautiful. The Upper Church is breathtaking. While the Western news media tries to spin a narrative about Russia being an oppressed land under a sinister leadership, this spin does not reflect the reality of the nation. 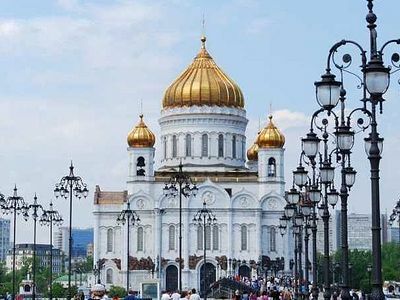 The city of Moscow alone is rebuilding and planting new Orthodox Churches at great speed, with twenty-one new large churches expected to be opened this year alone in the city. This temple serves as an example, and is actually characteristic of the energy and effort put into all the new temples in the city and around Russia. They are funded mostly by the donations of parishioners, and with some help from Church and government organizations. 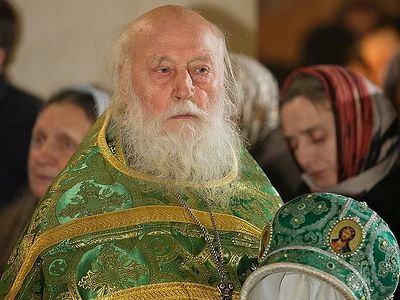 On October 13, 2017, at ninety years of age, the oldest monk of the Trinity-St. Sergius Lavra, the elder and spiritual father known throughout all of Russia Archimandrite Naum (Baiborodin) departed to the Lord. We here publish the words of the elder on the essence of what happened in Russia 100 years ago, and on the essence of our modern times. ''serving the same purpose for Russian interests that the CIA and FBI do in the United States. The FSB is simply an intelligence gathering agency.'' Is Seraphim Hanisch really this ignorant or is he playing silly buggers. The CIA is a pernicious cancer at the epicentre of Amerikan hegemony that seeks nothing more than the furtherance of Amerikan power through the chaos and destruction of nations around the world. There are very few countries who have not been adversely affected by this destructive satanic force. The FSB can hardly be compared. And quite frankly is it really wise to be printing this when you simply make them and their families open targets of said CIA and their pliant tools. I am American and I can say there are many Americans of Slav heritage who see Russia in a different way than the Western media wants us to see it. We see a land where Holy Orthodoxy (my faith) is flourishing and where good values are once again being taught to people by the good priests of the Russian Church. God bless you and keep up the good work!